That from this one saying and holy understanding, the Divine is asking that: ‘Remember Me and I’m going to remember you in a much holier and higher understanding’. We can have physical understandings; and then the guides begin to remind us that: transcend the physical, begin to open up the heart. 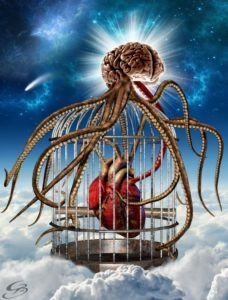 When they say ‘Open the mind’, for us it is actually close your mind and open your heart. It’s your mind that is causing the problems; it’s the mind that’s blocking the understanding and says, ‘No, no, I understand this,’ and puts a lock and a block. So they teach us first zikr: La ilaha illallah, there is nothing but Allah, there is nothing but God, there is nothing but the Divine. Means La ilaha illallah: the la means no head. Shut the faculty of the head and open the reality of the heart. The heart is the house of the soul and the timeless, eternal reality where the heart has infinite capacity for understanding. Mind is very limited, based on conditions based on experiences. From that contemplation they begin to teach us of these holy teachings and holy understandings and intercession. There are two understandings: “Remember Me, I remember you at higher.” And then the intercession and the concept of the intercession: intercession of the prophets, intercession of saints, intercession of holy people. At the real, and the reality level of understanding, they begin to teach that: break your physicality understandings. Take it outside of the understanding of form and now understand from the reality of the soul, the reality of light. 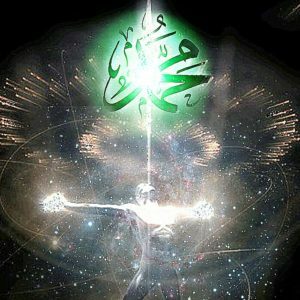 Allah (AJ)’s releasing onto this earth is quantum and sciences that are the science of light. And every light is energy, energy is merely manifesting in the form of light. Our souls are lights: energy. Light is an infinite spectrum: the lowest level of light is the electromagnetic field, like a drop. We consider that dirty light because it’s mixed with everything from the dirtiness of this earth. Can You Purify Your Light and Increase it’s frequency? If I have the ability to take my light and increase its frequency, to lift myself from difficulties. The spiritual path, they are trying to teach- it’s not not hocus pocus, just bunch of crazy things you tell people that they don’t understand- but Prophet ﷺ was teaching that: teach them to know themselves, they will know their Lord. The science of the self is what tariqa (spiritual path) and Sufism comes to lay out its realities, ancient realities. That if I’m trying to elevate my soul, then they begin to seek contemplate that the level of light and energy. That leave the understanding of form. Means open the horizon of the understanding. So I want my light to be purified. Can I lift my light to a frequency higher by itself? How can you produce more energy than the energy you are producing? Again, if anyone has that ability, they should go into engineering and make engines for governments. Something that you can produce, put five dollars in and it gives you fifty dollars worth of energy back! We don’t have the ability to lift our own energy because of the circumstances of this material world; we are surrounded by negative energy. 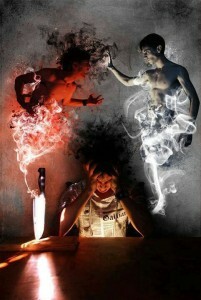 That devils and angels, they don’t meet each other. They don’t come into proximity. Not because of physicality but because of the frequency of their light. Means that light comes, the frequency of that light hits and it obliterates that which is false, that which is negative, that which is untrue. This is the reality that we are trying to understand. Now the material world is understanding that. They weaponized light. They use it for increption and computing. All the telephones and communications are through Fiber Optic. Then they begin to take that light and use it as a weapon. Why? Because of its power. It means when we want to understand spiritual realities, it is difficult to meet angels, they are not readily available to us. But we can find it in the negative world. The negative world is taking light and weaponizing it, using it for harm. Then they understood from that light that they are able to condense it. Now they know that that light has a frequency and has a sound. That sound can be weaponized. They have an equipment and understanding that they can begin to release a frequency and begin to shake structures. Because everything emits a frequency; everything emits a sound. At its atomic, molecular level, it’s emitting a sound. If you have that sound and begin to emit the opposite of it and begin to hit it with that, they say they are able to shake and move structures. This is important for the last days, to understand the self. That it begins to open the understanding of intercession. When you are talking about intercession, when you’re talking about ‘why should I seek out holy people, why should I seek out holy gatherings? I can sit here myself and do whatever I want to do’. The guides are teaching: look, look at everything around. These are the proofs in this world, that sound can hit and cause harm; it has an effect. It’s not just it doesn’t happen. It has an effect. Light has an effect if directed upon someone. Now imagine from the Divinely realities. When Allah (AJ) says, “Remember Me and I will remember you,” (Quran 2:152). And that the ‘fee kum’ (within you) (Quran 2:151) that that reality, the Prophetic reality is in everyone’s soul. It’s sent from heavens to this earth. We are not made and invented here. We are heavenly creatures sent for an earthly experience. It was in our package; we are already packed it in our suitcase. The Prophetic reality is inside the soul, the love of the Divine, the angels and the prophets and all holy books, is inside the soul. So then Allah (AJ) begins to expand the understanding, that you want to elevate your frequency to begin to obliterate all negativity around you: “Remember Me!” because ‘I am a Divinely frequency’. So the remembrance of our Lord, means the chanting, the remembrance. Just remembering by mind, remembering by tongue, remembering by heart, begins to open the remembrance by soul, because as you’re bringing His Divinely Frequency and mentioning His Holy Names, chanting His Holy Praise; when you say ‘La ilaha illallah’ means ‘there is nothing but Allah’. When you say, ‘Ya Rahman, ya Raheem, The Compassionate, The Merciful’, all of these are frequencies that are moving towards the soul. And as they begin to come to the light of the soul, they are like those weaponized understandings. These are Divinely weapons that meant to improve the condition of mankind. It’s a weapon against evilness, and the evilness that we surround ourselves with, internal and external. By the remembrance of the Divine, this light and this energy begins to come and begin to smash our frequency. It begins to obliterate the negativity and then begin to dress from that Divinely Light, like rafting. As soon as that light comes and the reality of light and the wave of light, is that it merely begins to move, it obliterates everything of a lesser frequency and bring it up to its higher frequency. The lesser gets obliterated in light. It can’t tolerate that energy of light that is coming. That energy begins to obliterate and lift, because it doesn’t go anywhere. The reality of energy is that it can’t be destroyed. So Divinely Energy upon the soul comes and begins to obliterate everything negative. It obliterates all the lowness and the low level frequency of that light of the soul, based on conditionings and what we are doing in this material world, and begins to elevate it, begins to lift the frequency of that light. The more chanting, more elevation, more remembrance, more elevation. And then, “Remember Me and I will remember you.” Then they come and teach us: then remember all your life, the holy people. Mention them in your lives, mention them over your food, mention them over what you drink. Sit and mention their names, remember their lives. Why? Because the frequency in which they are emitting from their soul obliterates difficulties, obliterates negativities and lifts the frequency of all the souls because God is Great. 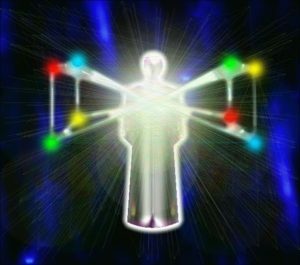 They send infinite capacity and lights and emanations, and those merely begin to hit your frequency and elevate your frequency. Then imagine the intercession by remembering the lives of the prophets. Now you are remembering holy people and attend their associations of holy people. The holy people who are trying to improve themselves, clean themselves, struggle against themselves, there are tremendous lights and energies; the souls are now uplifting, the frequencies are improving. As a result of the frequencies, there are many cleansing. It’s not an easy way; you are talking yourself from one frequency rising to a Divinely frequency. There is going to be a lot of cleansing because the light is changing, the energy is changing, the power of that soul is magnifying. Then begin to remember the prophetic realities in our lives: praise upon the prophetic reality, remember the stories of the prophets through the real love and the real actions. Then imagine now the prophets are coming. And the prophets are coming with Divinely Grace and they begin to remember. Again also they are not cheap. They are saying, ‘If you are remembering us in your material world, we are remembering you from our heavenly paradise stations’. That remembrance begins to change the soul. And each change and each dress, each attribute has its own colour, has its own frequency. And each of those frequencies and colours are the dress upon the soul, and the medallions upon the soul. You see people in the army, they have these jackets with badges up to here; each medallion, all police or fire, usually the services have it. The Divine is teaching that every attribute and every remembrance, every association, every praising upon the prophetic reality, every recitation of Divinely Holy Books are lights and frequencies and colours. And they dress the soul and they are medallions for the soul. What Allah (AJ) says then bring the best of your dress to your Masajid (mosques). 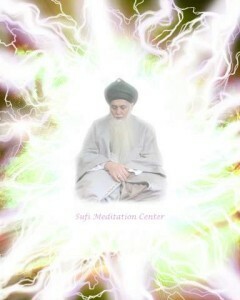 This is what Mawlana Shaykh was recently talking about. Means it is not only the best of our dresses, that everybody go buy a Versace shirt and come to the zikr (Association of remembarance). But bring the best of your dress means dress your soul from these realities and these lights. And when you begin to attend the holy association, the soul is emanating all of these Divinely dresses. Then we begin to understand that: how powerful these souls can be. That the frequency and the light and the energy in which they are emitting is so powerful that it obliterates everything in its presence. Merely just a gaze from their eyes, if their light and their soul is of that reality, it obliterates everything of a lower frequency. Many people can’t be in their presence. Many people can’t attend their associations because the light at which they are emanating, they don’t have that desire to progress. Means light is so powerful, so unimaginable reality, but because if it comes from Toshiba or Mitsubishi or Sanyo, we believe it. When we say the light ia coming from the heavens, they say “I don’t know about that.” Hey, but the One who made us and the things we are making from our hands, we have more confidence in. The Divine says: “Wa laqad karamna Bani Adam,” ‘I have honoured your creation and I have given you the reality of your soul’. If you elevate that soul, empower that soul, what type of power that has. 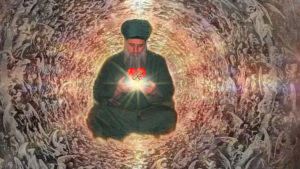 So when we talk about shafa’at and intercession, it means every light and powerful soul, it emits frequencies that begin to obliterate all of lower frequencies and elevates everyone who come into their presence. Light and light’s nature is that it moves and it blends in. It’s beginning and ending is not known. Their lights merely begin to eminate out, obliterates difficulties and bad characteristics, and then begin to dress the souls. 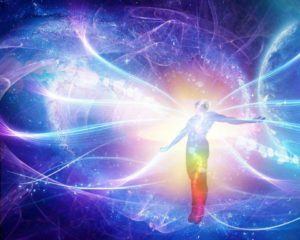 The more and more and more dress upon their soul, the higher and more powerful the frequency of their souls are becoming. This is an understanding from just the reality of the soul and the world of light. That many times people talk at the physical level of intercession and chanting and what is this- but just the understanding of light and energy begins to open an understanding within the heart. That as much as we can recite, as much as we can attend, as much as all of these realities and praising upon the Divine Light, it begins to elevate. Then you begin to find people who are entrapped within negativity and they are surrounded by negativity, and until they have the willingness or inspiration to begin to emanate on that light. Allah says, “I know everything.” It is not the matter of the knowing that we are talking about, because yet your understanding is very dunya (material world). The dunya understanding is, you saying ‘Okay, can you please pray for me to take away the sickness?’. Okay, me, you and God already heard that; the angels heard that and many different spiritual beings in the room may have heard that. That wasn’t the necessity. But the prayer of that one (pious person) begins to emit an energy. The energy of their soul, the energy of their heart begins to move onto that and begins to obliterate the difficulties in front of them. Means many of these understandings and realities, when you begin to think at the level of light, the level of the soul. Think of the level of sound and the level of colour. All of these are in the material world that they use them for negativity. We pray that we expand our heart and our understanding.